I’m so excited that the weather is finally turning a bit cooler! Autumn is my favorite time of year for so many reasons. Where I live the leaves are changing to beautiful shades of red, orange, yellow, and brown, I get to wear sweatshirts and jeans, and I finally get to start making my favorite fall recipes – including homemade hot cocoa! Nothing says fall like a big mug of homemade hot cocoa made with warm milk and I’ve got the perfect way to share it with friends! 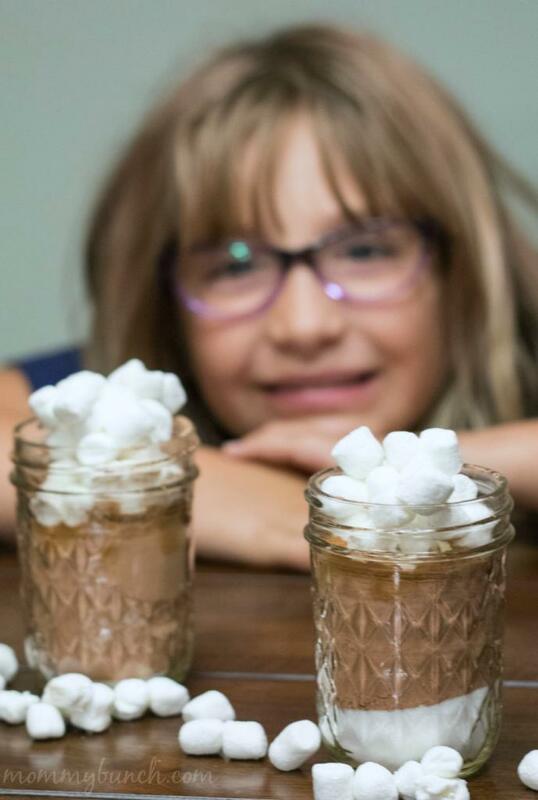 Mason Jar Homemade Hot Cocoa is a great way to give a little joy to friends and family this year, and these make the perfect fall teacher gifts, Christmas gifts, bake sale items, or for anytime! Milk’s nutrients are hard to replace so we have milk all the time, even if it is in a cup of cocoa. It’s difficult to get enough of nutrients you need without milk in your diet, and decades of research and hundreds of studies support the benefits of drinking milk. 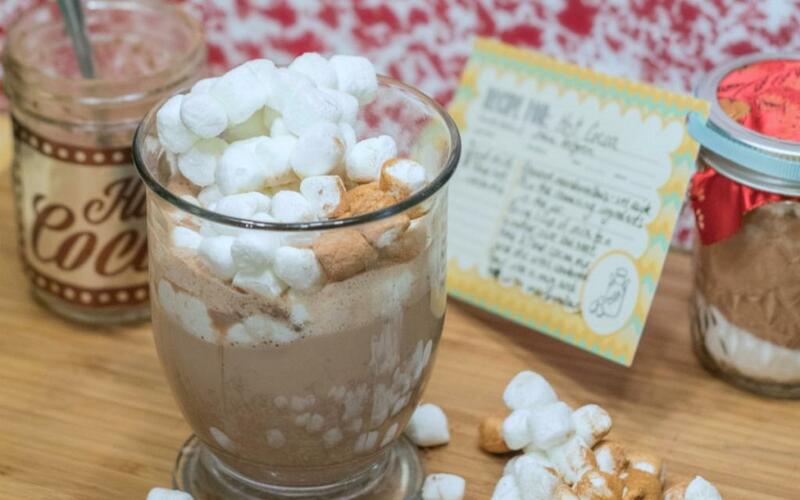 To serve: Remove the marshmallows to a plate and mix together the remaining ingredients in the jar. Bring 1 cup of milk to a simmer over low heat. Add 3 tablespoons of hot cocoa mix and stir until completely combined. 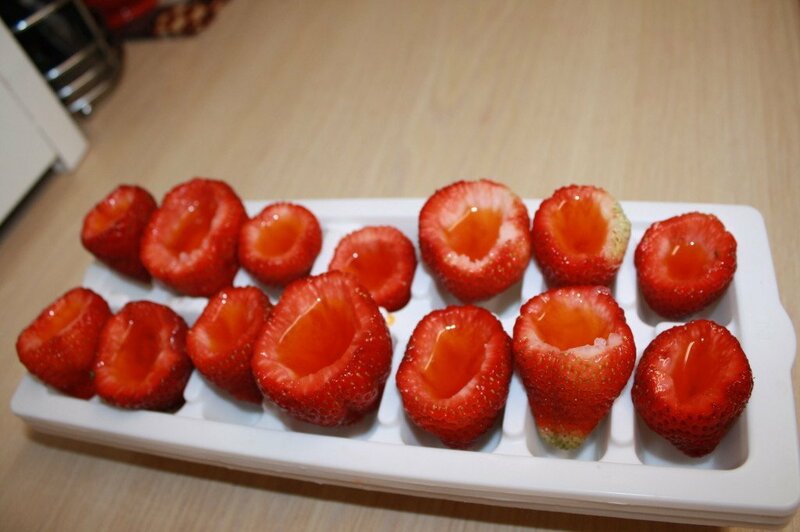 Pour into cups or mugs and top with marshmallows before serving. TIP ==> Be sure your recipe specifically states to use milk. While water will probably work, you can’t beat the flavor and richness you get from a warm cup of cocoa made with real milk! 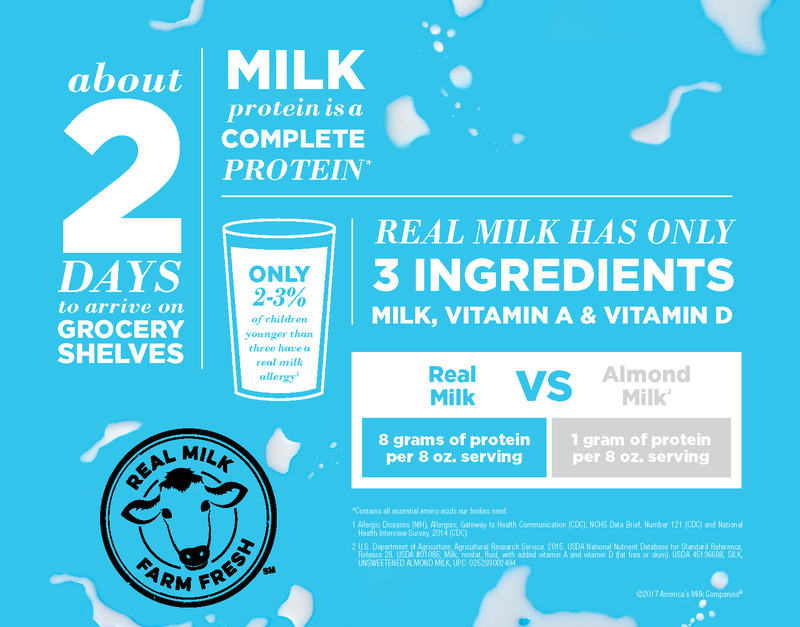 Did you know that milk is a simple way to get natural, high-quality protein (8 grams of protein per 8-ounce glass)? Plus milk has other nutrients kids need to help power through the day’s activities with a taste they love. Adding a cup of warm milk to your hot cocoa mix on a cold day just makes it that much better! Learn all about the benefits of milk by visiting Milklife.com! 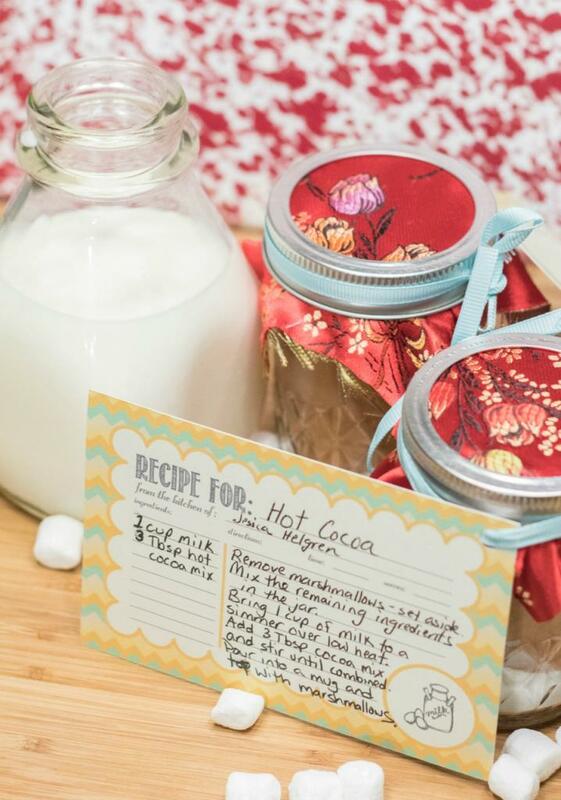 Don’t forget to include a recipe tag with your cocoa if you’ll be giving it as a gift. 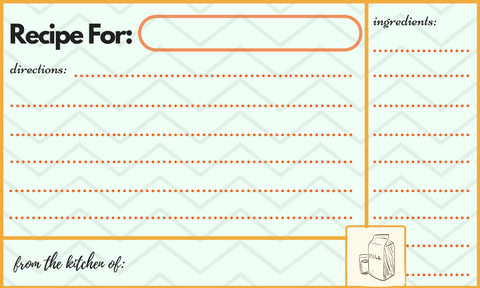 To do so is easy, simply print the recipe card shown below (or create your own) and attach to the jar with some ribbon and pretty fabric. 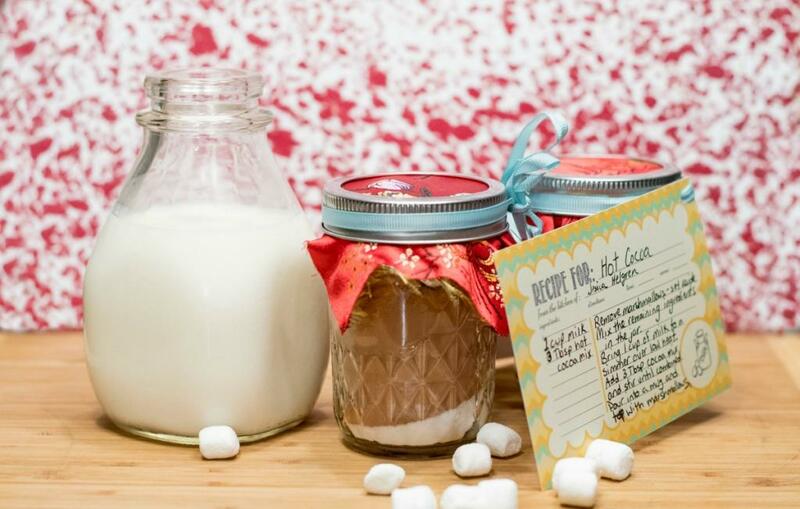 Grab your FREE PRINTABLE recipe cards and affix to your mason jars by punching a hole in one corner, stringing some ribbon through, and tying the ribbon to the jar. Once your recipient opens their jar and removes the recipe card, you don’t want them to forget what is in the jar. Attach a jar label so they’ll always be sure what they have — plus I think it really makes the jars pop when given as a gift. 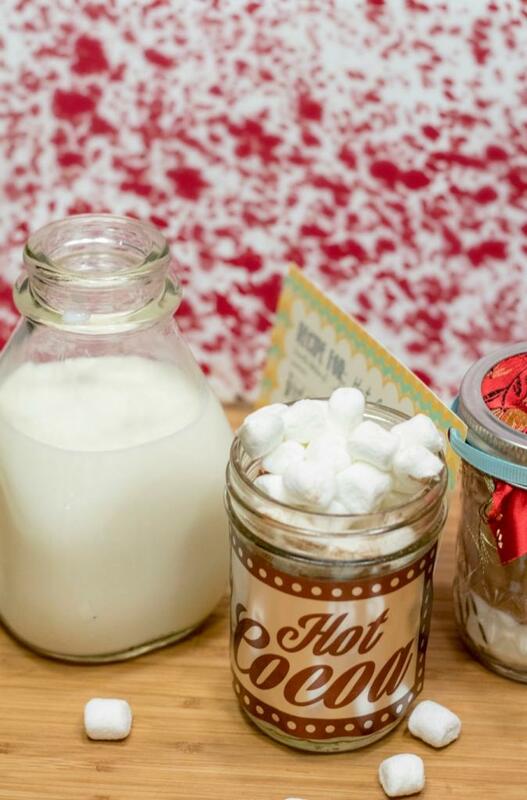 To make the jar labels you’ll need some printable adhesive foil, which you can find at any craft store. I have a label that you can use, or feel free to create your own designs as well. Click the link or the image to view a printable version. The label is transparent so the only things that will print are the black lines and the text (this way the foil shines through). If you have a cutting machine that will do print then cut it makes quick work of creating these recipe cards and labels, however, you can cut them by hand as well. These really do make a great gift and one that is sure to get used! 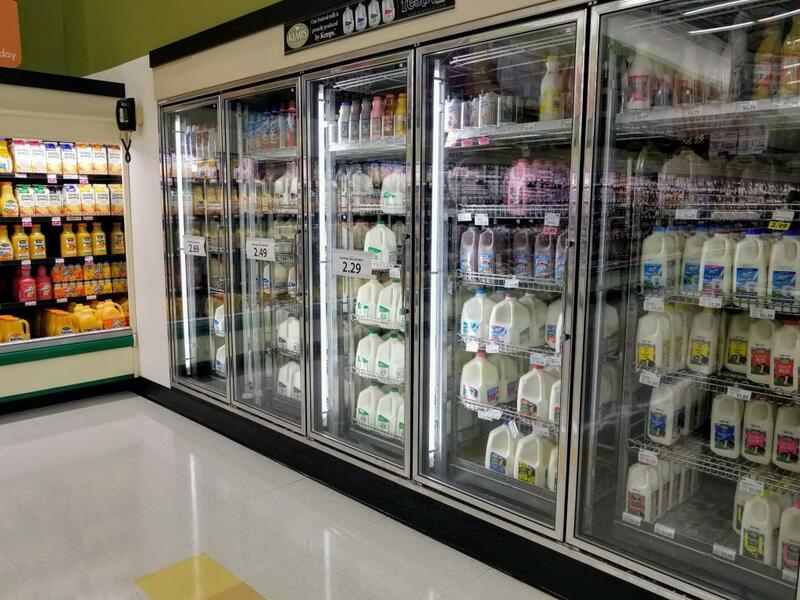 Be sure to swing by your local Festival Foods today and grab your favorite milk to go with your hot cocoa mix. This post contains affiliate links. I will get a small commission for clicking on some of the links in this post. As always I only recommend products that I use and believe in. In a pinch for dinner? 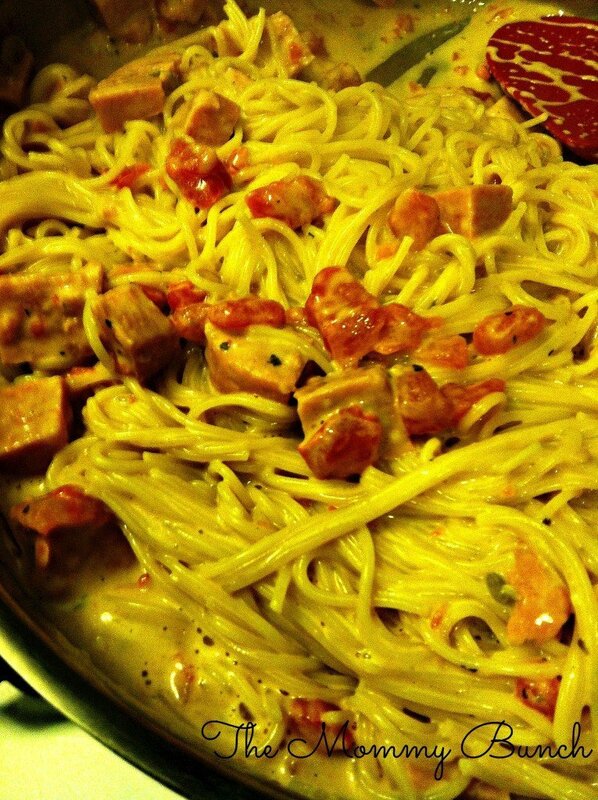 Try this easy and tasty dish! Costumes are not just for Halloween! Easy Hotdish Recipe – plus $125 Good Cook Cutlery giveaway!